Hey, everyone! Y’all know I love leopard print, so it’s no surprise that I also love SNAKE PRINT! Unfortunately, I outgrew my old snake print dress from years ago, so I was left to find a different piece to rock this trend. 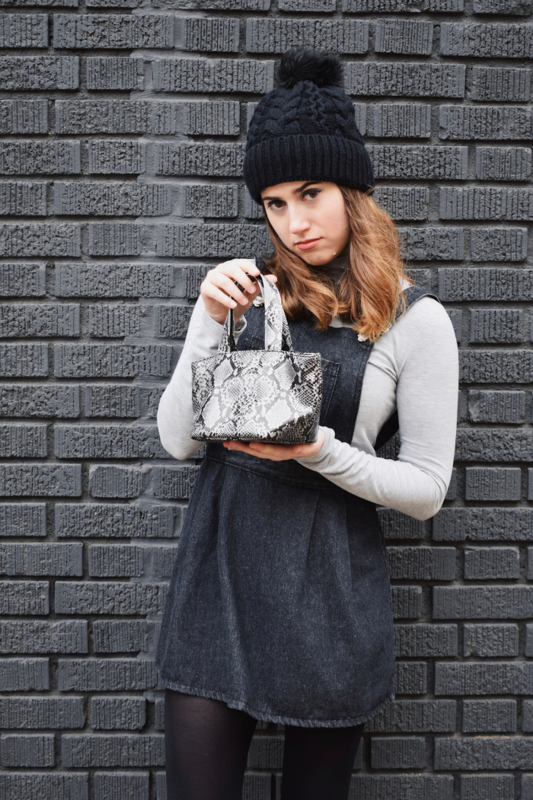 I turned to Depop (#sustainability) and ordered what I thought was a normal-sized grey snake print bag. What I got instead was literally a child’s purse. Like, fit for a child, not a grown woman. This was only a bit disappointing and mostly hilarious. After all, micro bags are in, too! 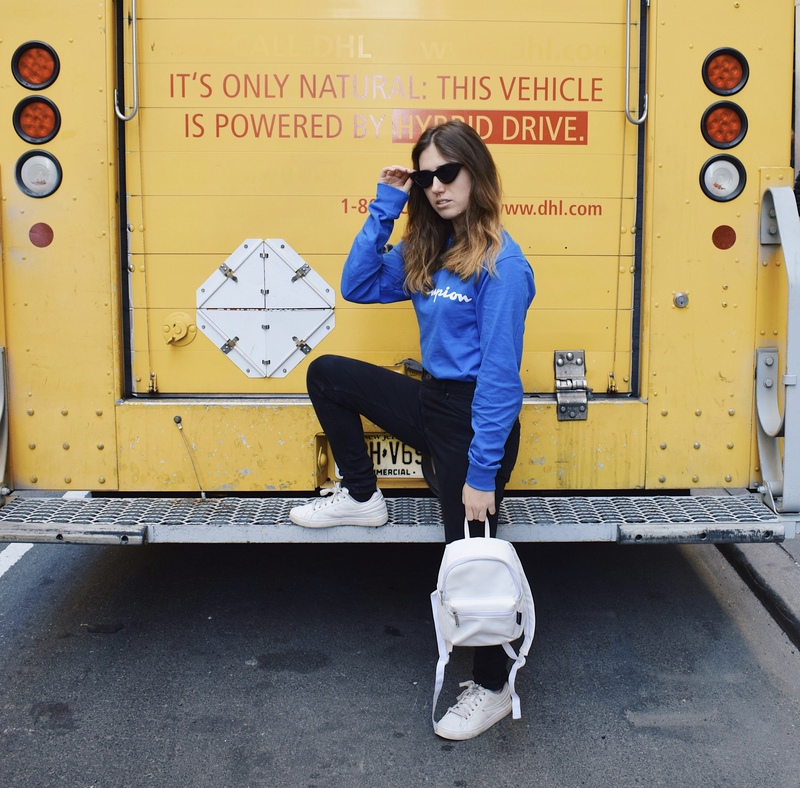 Just look at this tiny Jacquemus bag that took Instagram by storm. 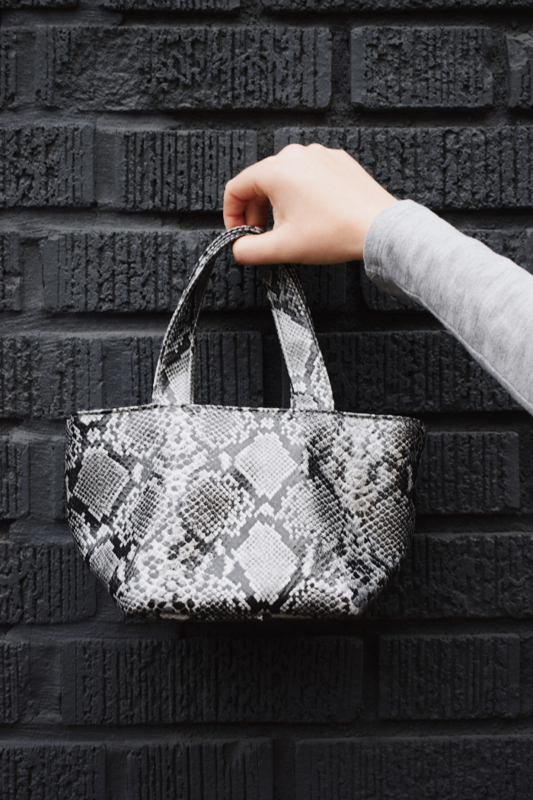 My snake print bag hits two birds with one stone, and I’m perfectly ok with that. 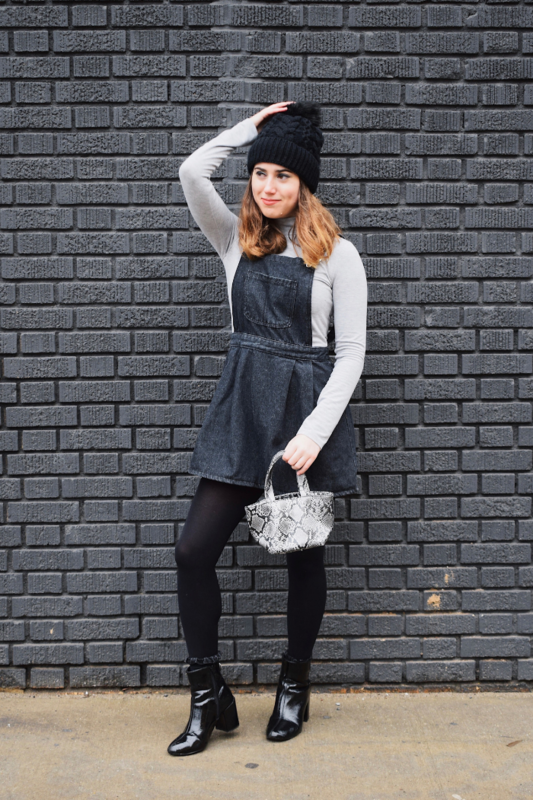 My bag is comprised of 5̶0̶ multiple shades of grey, so to mirror that, I put together a groutfit (grey outfit). 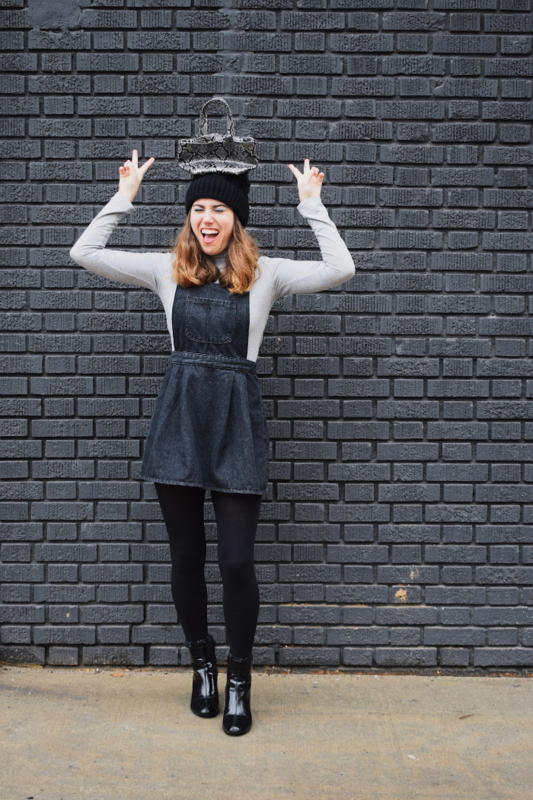 I started with a light grey turtleneck top and then layered with my grey overalls. 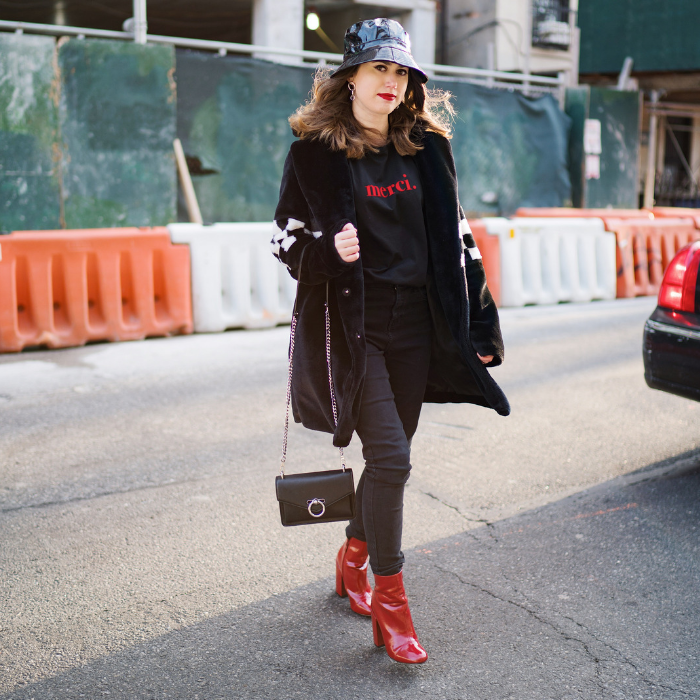 For tights and shoes, I kept it simple with black and also added a black hat since it’s still cold here in NY! 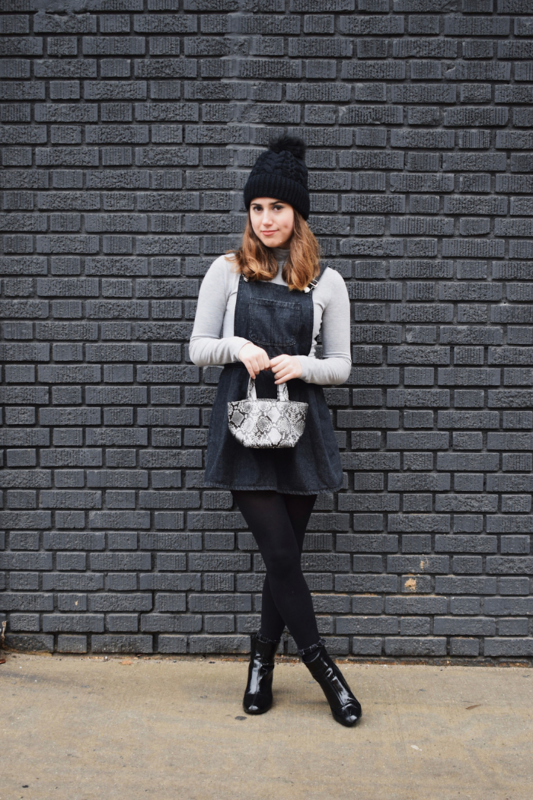 My main answer as to how to style snake print is to keep the rest simple! Stick to solids or keep it monochromatic for a sleek, polished look. Snake print is usually made up of more than one color, so if you can match the shades of it like I did, you can add more dimension and make your look more dynamic. 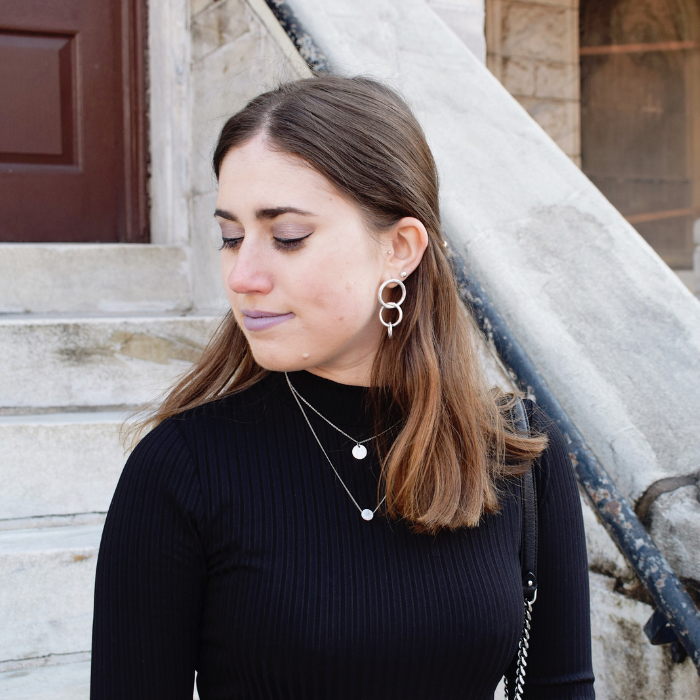 Those are my tips on how to style snake print! I hope you guys found it helpful – feel free to pin my images for inspiration. I also included shoppable widgets for you to shop the trend. This is one of those trends that I find worthwhile, like leopard. Like I said earlier, I used to have a snake print dress that I enjoyed for YEARS and consistently got compliments on it – snake may be having a moment right now, but it never really goes out of style! ahh such a cute look! I’ve never ventured into snake print before! Such a cute bag! I love snakeskin lately! 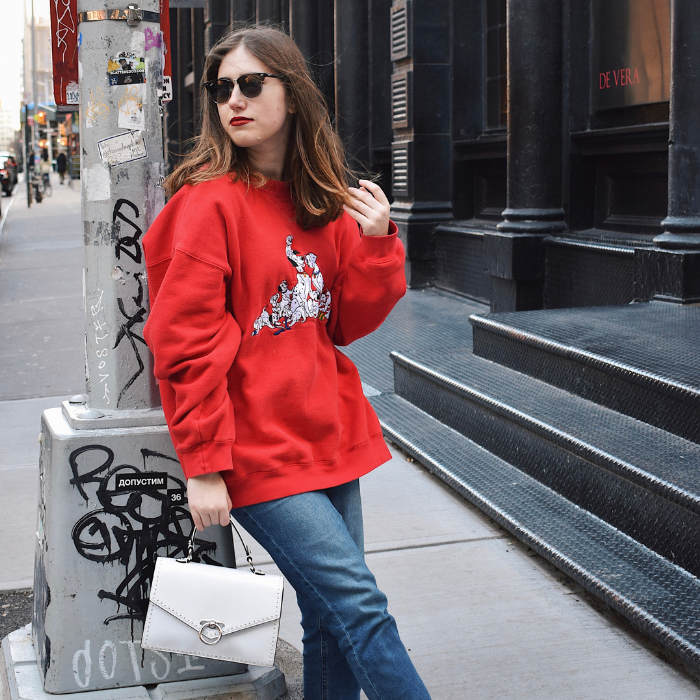 I really love snakeskin this season and that purse is so cute and a great way to incorporate the print into your everyday outfits! Omg so small and so cute! I’ve never tried snake print but those overalls are adorable! It’s so cute and tiny! I love it! 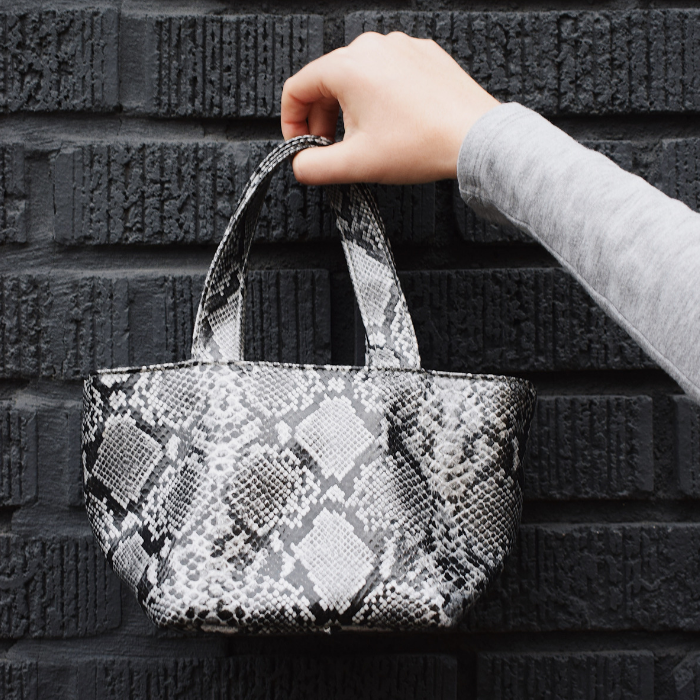 Snakeskin is totally in right now.